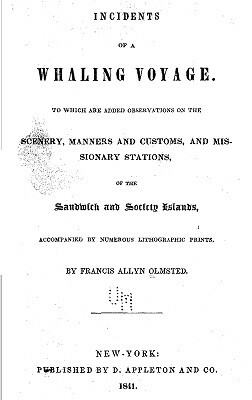 and missionary stations, of the Sandwich and Society Islands. Appleton and Co., New York, 1841. Olmsted visited Kailua on the west coast of Hawaii at the end of June (1840? ), and observed a number of natives surf riding, either prone or kneeling. Their boards were "a smooth, flat board from six to eight feet long, by twelve to fifteen inches broad." 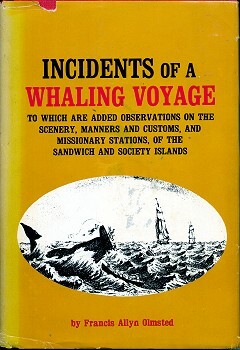 The book has the first image of surf riding by same author and artist, the illustration based on a sketch composed on site by Olmsted, and "finished off afterwards, as soon as possible." . In the 1890s, John R. Musick reported that surf riding was still popular, at least by the local school children, at Kailua. 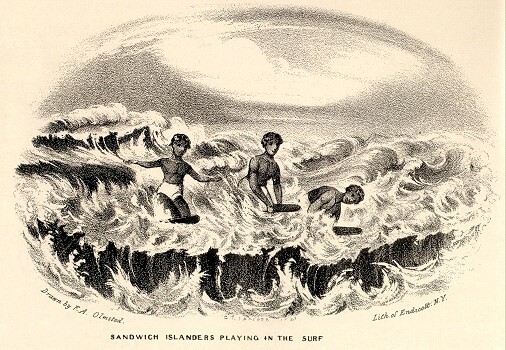 1898 John R. Musick : Surfing in Hawai'i. Kailua Beach, Hawaii, is reported to be the favorite beach of U.S. President, Barack Obama. The pictorial illustrations are selections from fifty or sixty sketches representing objects of natural history, and scenes that interested me, taken originally in the sketch book I always carried with me, and finished off afterwards, as soon as possible. The great expense of these illustrations, forbids the introduction of a larger number into the work ; for the size of a work gives it a determinate price, from which even the most expensive illustrations will not admit of very great deviation, although embellishments of this kind are often as essential in forming a correct idea of a scene, as the printed page itself. Frequently indeed, they are of greater importance ; for a single glance at a correct picture gives a far more vivid idea of a scene, than the most elaborate description. This morning I arrived at Honolulu after an absence of about two weeks in an excursion to the island of Hawaii. Our party, consisting of two gentlemen of distinguished attainments, and myself, embarked in the "Clementine," a vessel owned here, on Tuesday morning, June 23d, where we were joined by a Mr. Grimes, a resident of Honolulu. After a passage of more than three days, during which we barely escaped being roasted by the intense heat of the sun, in a calm off the island Ranai, we cast anchor off Kailua, a little town upon the western coast of Hawaii. guished in the history of these islands for the favor he has always manifested towards the missionaries. house, and a few koa trees scattered here and there. From the water's edge, the ground rises with a rapid ascent until it is lost to the eye in the clouds. Upon landing, we were received by Dr. Andrews, Physician to the missionary station at Kailua, who conducted us to his house, where we were cordially welcomed by Mrs. Andrews, and entertained with hospitality during our visit. After supper, we called upon Governor Adams. His house, which is one of the finest upon the islands, is situated close upon the beach, so that the rear of the yard is washed by the ever rolling billows of the ocean. After witnessing this striking instance of the zeal of Governor Kuakini for scientific objects, I took a stroll down to the sea shore, where a party of natives were playing in the surf, which was thundering upon the beach. Upon these, they plunged forward into the surf, diving under a roller as it broke in foam over them, until they arrived where the rollers were formed, a quarter of a mile from shore perhaps, when watching a favorable opportunity, they rose upon some huge breaker and balancing themselves, either by kneeling upon their boards or extending themselves full length, they dashed impetuously towards the shore, guiding themselves with admirable skill and apparent unconsciousness of danger, in their lightning-like courses, while the bursting combers broke upon each side of them, with a deafening noise. In this way, they amuse themselves hour after hour, in sports which have too terrific an aspect for a foreigner to attempt, but which are admirably adapted to the almost amphibious character of the natives. After an unusually long passage of thirty eight days from Honolulu, Tahiti and the adjacent islands hove in sight, and we came to anchor in Papeete ("Pah-pay-ay-tay") bay, on Thursday, September 10th, with the expectation of spending two or three days at this lovely island. Papeete bay is on the lee side of the island of Tahiti, around which the trade winds, intercepted by the lofty mountains, are diverted in curves around the northern and soiMhern points of the island, in such a manner, that a little to the southward of the entrance to the harbor, there is a tract of water which is almost always perfectly calm, where ships are sometimes detained for many hours, while, perhaps, within a few feet of them, the wind, in a regularly defined stratum, is sweeping down from the mountains and dashing up the ''white caps" upon the surface of the sea. The appearance of Tahiti is highly picturesque, and delightful to the eye, as you gradually draw nearer and nearer. ... that hang like wreaths around their summits ; while down their sides a bright red clay contrasts strangely with the deep green verdure of the ravines. From the gracefully winding shore, long low points of land are seen running out into the sea, covered with a dense array of cocoa-nut groves, whose tall, branchless trunks, and canopies of broad leaves, present a novel and interesting appearance. At irregular distances from the shore, a coral reef extends itself, upon which the sea bursts, and encircles the islands with a snow-white fringe. In many places, the reef is connected immediately with the shore, but it is generally constructed at some distance, parallel to it, forming in some instances, safe anchorage for ships in the placid lagoons that lie betw-een the reef and the shore. It is a singular fact, that wherever fresh water streams run into the sea, there are openings in the reef abreast of them ; for the fresh water appears to have neutralized the labors of the animalculae, to which these reefs are supposed to owe their origin. Upon this principle, Papeete harbor was formed. Across a deep recess, in the island, extends the reef, which, far to the right, is interrupted, thus giving passage into the harbor while the surf bursts in one continued roar upon the immovable barrier upon each side. A ship in coming to anchor, runs into the passage, then beats up to her desired anchorage — for the wind is almost always from one quarter, that is, ahead. A noble sheet of water spreads out before you, a mile in length perhaps, and a half mile wide. On the left hand side, a small island of circular shape is a beautiful feature in the scenery of the bay, the shores of which, down to the beach are crowned with luxuriant groves, while a narrow point of land running out towards the reef, and set thickly with cocoa-nut trees, gives variety to the view in that direction. ... this point, between the reef and the shore, there is a safe passage for ships up to Point Yenus, celebrated in the voyages of Capt. Cook, as the place from which the transit of Venus was observed — whence its name. Papeete Bay is one of the finest in the world, and is far superior to Honoulu Harbor, in natural qualities.
" The glassy ocean hushed forgets to roar. Protected from the winds by the lofty mountain peaks, and embosomed in verdure of the densest luxuriance of the tropics, Papeete Bay exceeds in beauty, any sheet of water I have ever seen. It is so capacious, that a fleet of a hundred sail of ships might lie at anchor without incommoding one another, and its depth of water is such that large vessels are moored within a stone's throw of the shore. New edition with preface by W. Storrs Lee. Bell Publishing Company, New York, 1969. Geoff Cater (2013) : Francis Allyn Olmsted : Surf Riding at Kailua, Hawaii, 1841.